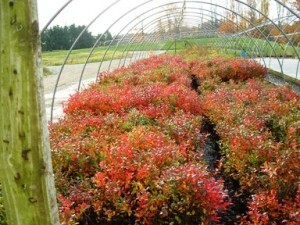 Now that temperatures have dropped a bit and being outside is comfortable again, it’s time to rethink your fall garden. What are the highlights? What shapes and colors do your eyes focus on? Many of the plants that change color during the fall haven’t done so yet because the temperatures aren’t low enough but when they do, we will all enjoy the fabulous fall foliage. 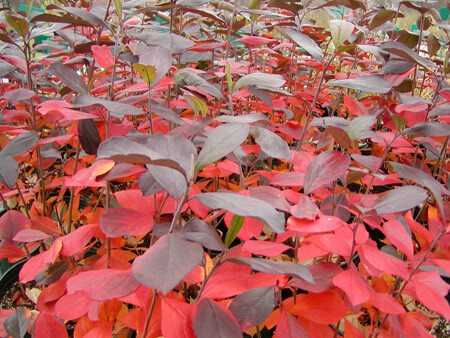 Some of the best are Itea virginica (Sweetspire), Aronia arbutifolia ‘Brilliantissima’ (Brilliant Red Chokeberry), and blueberries, an excellent substitute for those who love the red of Burning Bush but don’t want such an invasive plant in their landscapes. I’ll never forget seeing fields of blueberries in early November in Oregon. I didn’t realize what I was seeing until I drove close to one of the fields and got out of the car to look at the leaves. 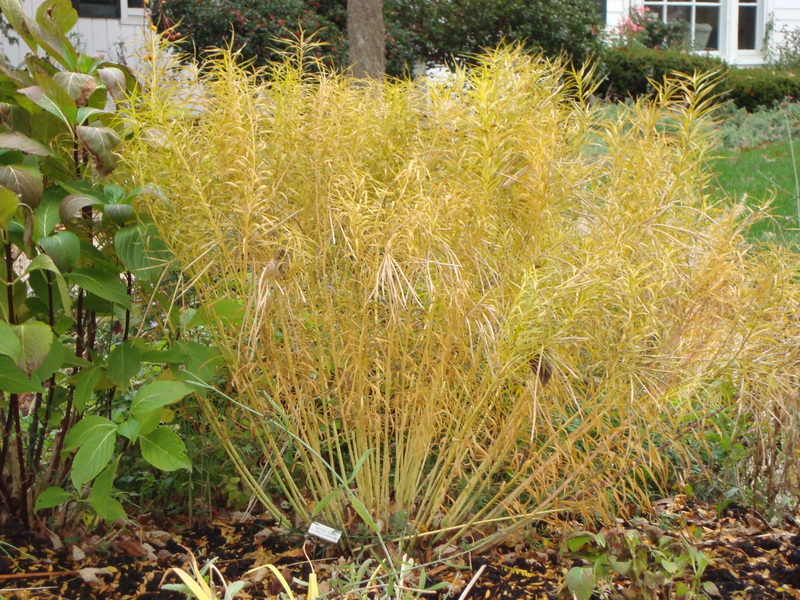 At this time of year the ornamental grasses are in full bloom and, many of them also change leaf color. 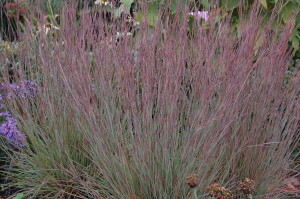 Schizachyrium scoparium (Little Bluestem), best in a sunny and dry site, changes from blue with tinges of red to purply blue. 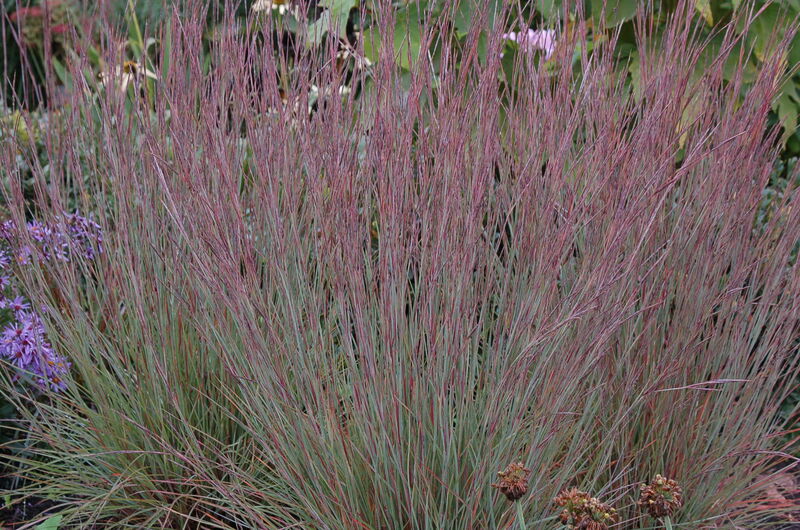 The red switch grasses that had only a tinge of red during the summer become very red and the blue switch grasses become golden yellow. One of the best perennials for color change in the fall is Amsonia hubrichtii (Arkansas Amsonia). The fine textured foliage becomes golden yellow and seems to glow. 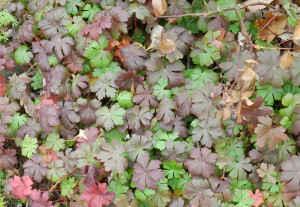 This perennial is a sun lover but if you want foliage color in partial shade, plant either Geranium macrorrhizum (Big Root Geranium) or one of the Geranium cantabrigiense cultivars. 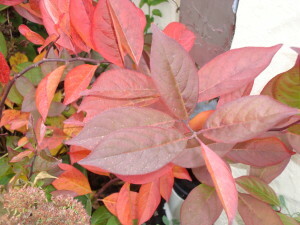 Their leaves become tinged with red and purple. 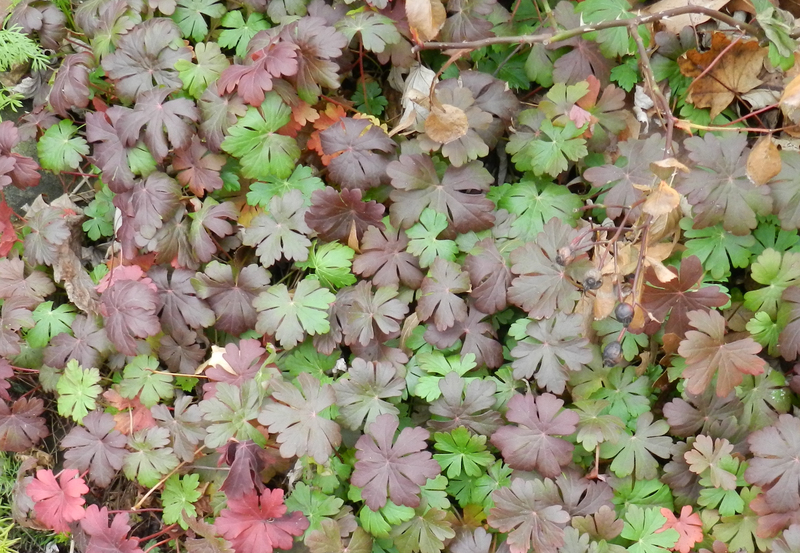 I also love the anticipation of waiting for the perennials that wait to bloom until fall. 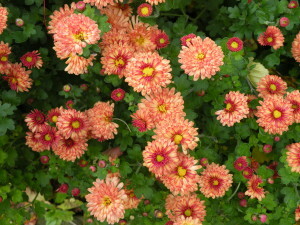 Many of the old-fashioned chrysanthemums don’t even begin blooming until October and then continue on into November. They are unbelievably hardy and spread so that you can always share with a friend. 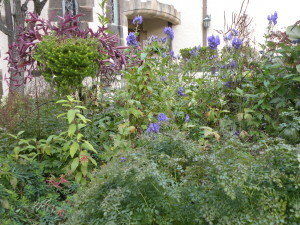 Another favorite fall bloomer of mine is Aconitum (Monkshood). 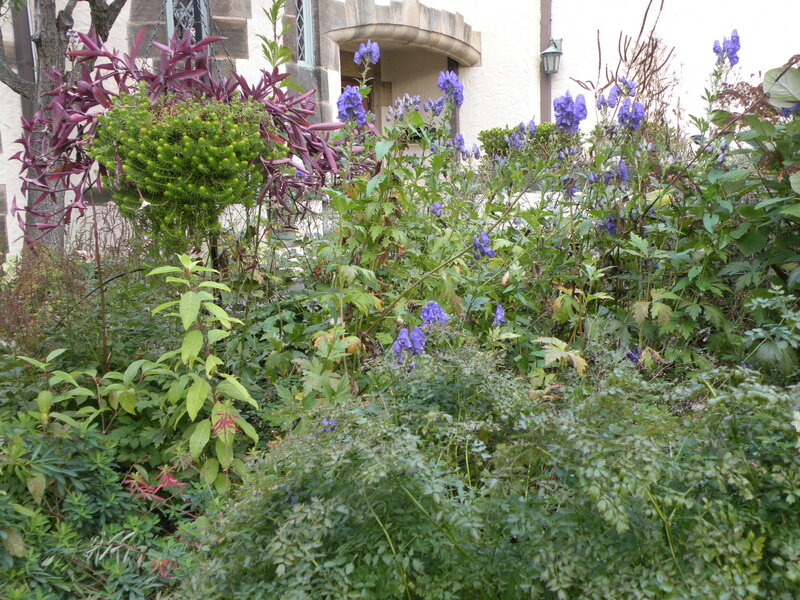 The fall blooming species (there are some that bloom in June and July) are tall, usually four to six feet, with dark blue flowers at the top of the stalk. What do you look forward to in your fall garden?